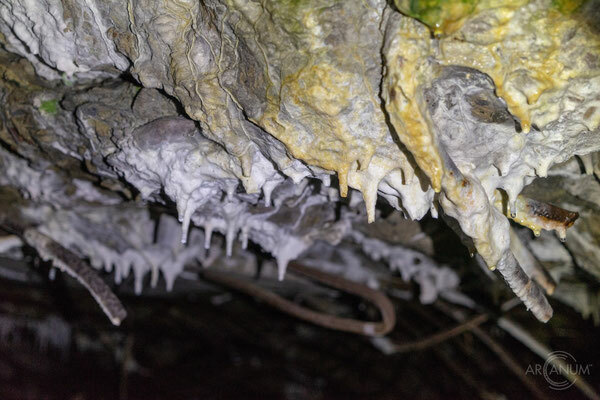 camouflage nets. 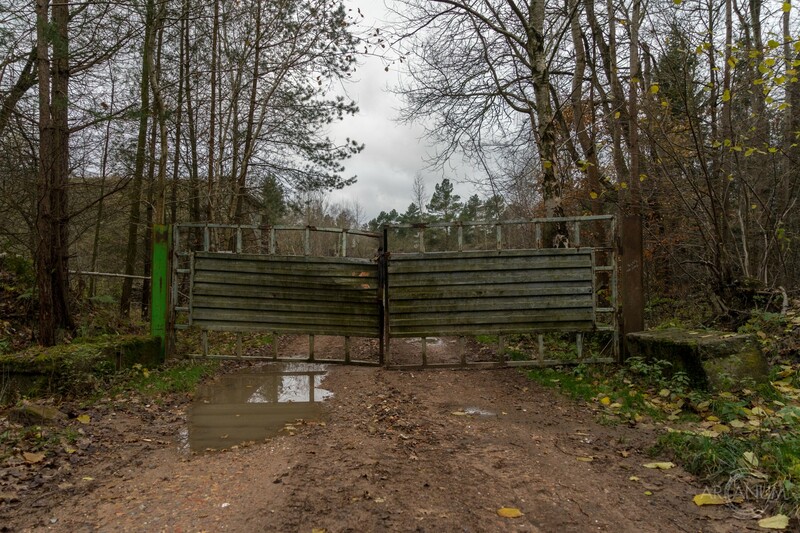 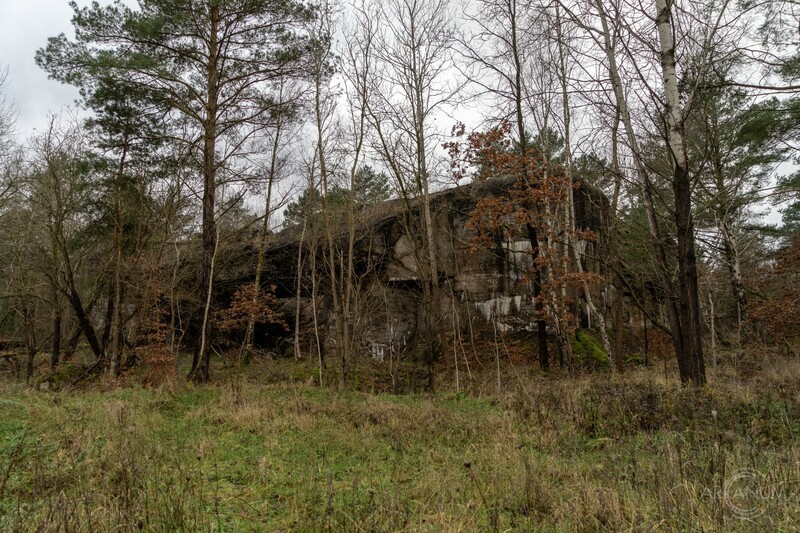 After the Nazi's rise to power in 1933, a rapid expansion began for the Rechlin facilities. Millions of Reichsmark were invested to build new test stands for engines, laboratories for the development of new fuel components, construction and maintenance halls, garages, administration buildings and barracks. 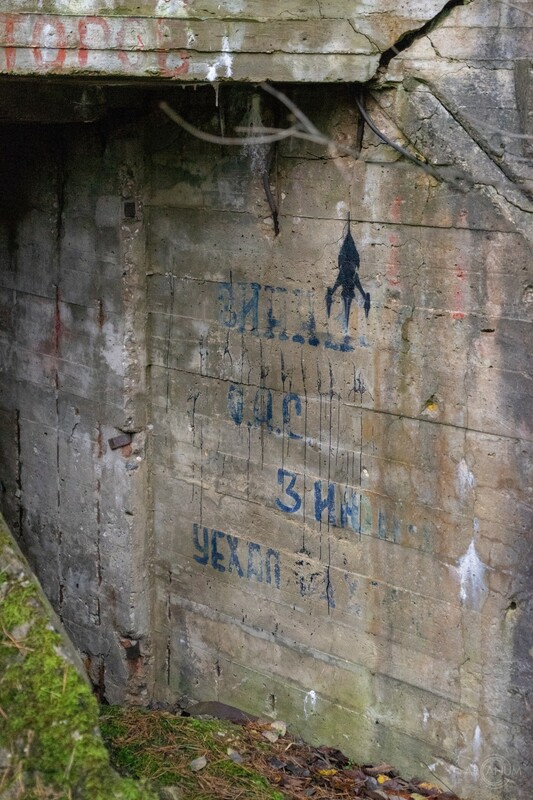 More than 4.000 engineers, test pilots and other employees work on the different projects. At its peak, more than 300 different airplanes were stationed on the airfield at the same time. Among them common machines like the Messerschmidt Bf 109 and the Ju-88, but later also liquid-fuel-rocket- and jet-powered planes like the He-176, the He-178 and the Me 262. 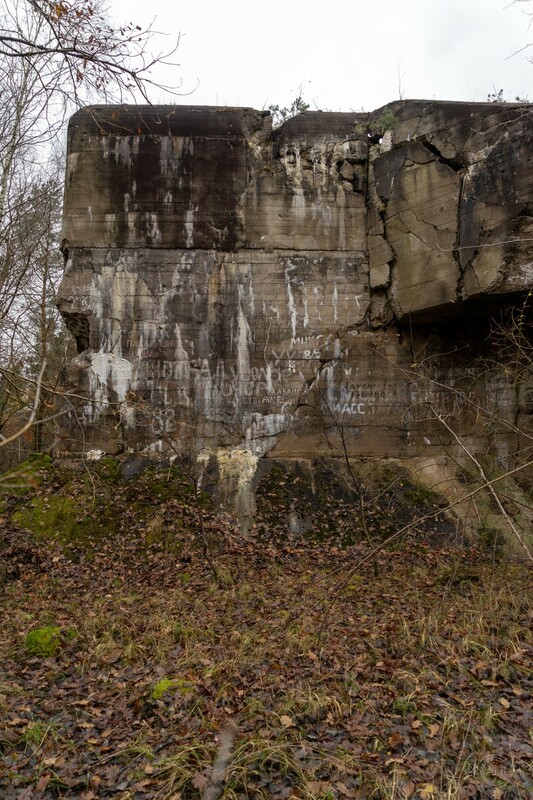 Additionally, the with a speed of 770 km/h fastest propeller airplane in aviation history, the Dornier Do 335, made its maiden flight from Rechlin in October 1943. The final air raid on Rechlin took place on April 10, 1945. 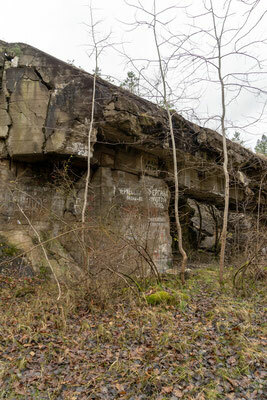 103 bombers of the type B-24 practically wiped the entire place out. 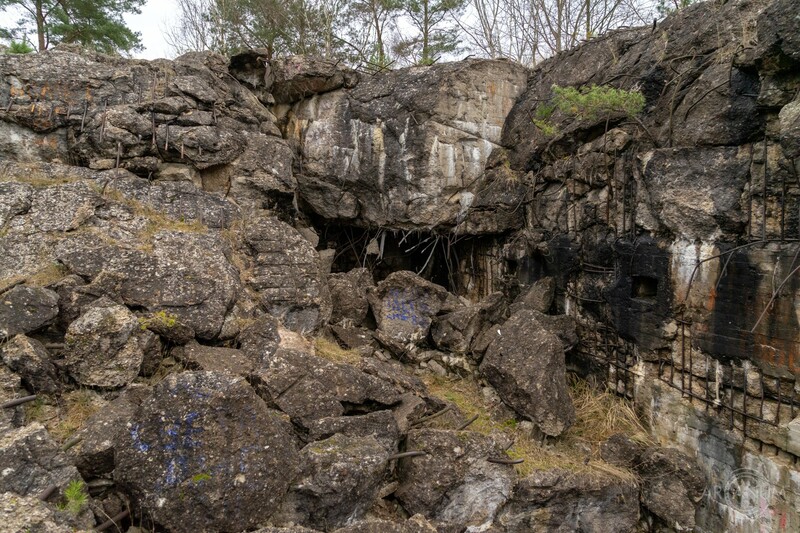 The few remnants were blown up or destroyed by the remaining German troops before the place was taken over by Soviet troops on 2 May 1945. 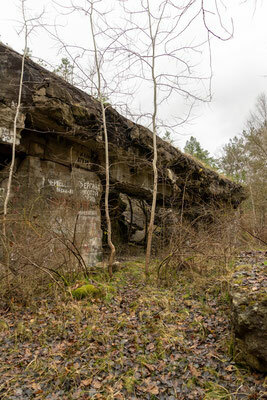 The bunker you see here has outer dimensions of 25 meters x 45 meters and was probably used as a maintenance hall for the test facilities. 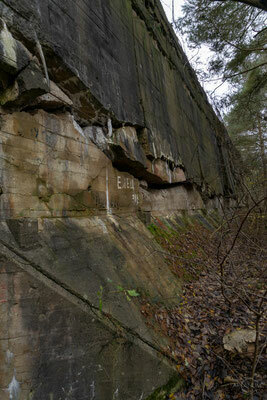 It was demolished either in 1945 or in the years following the war. 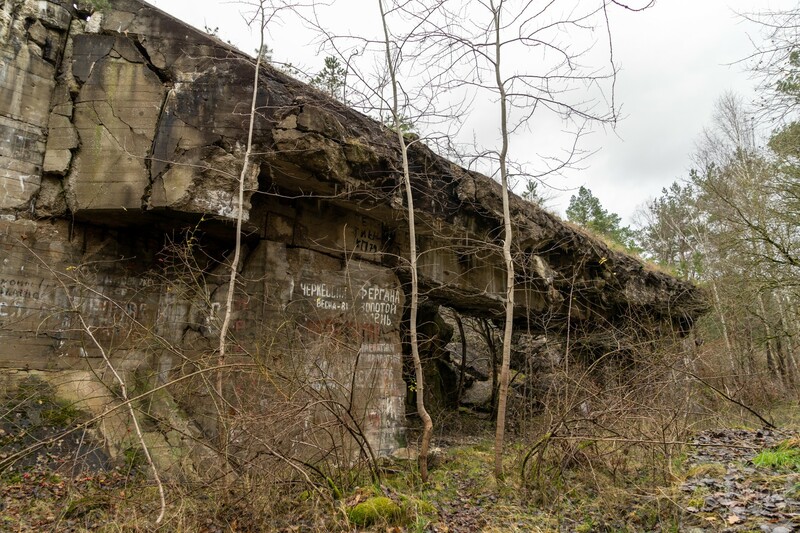 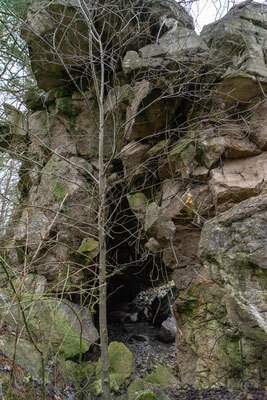 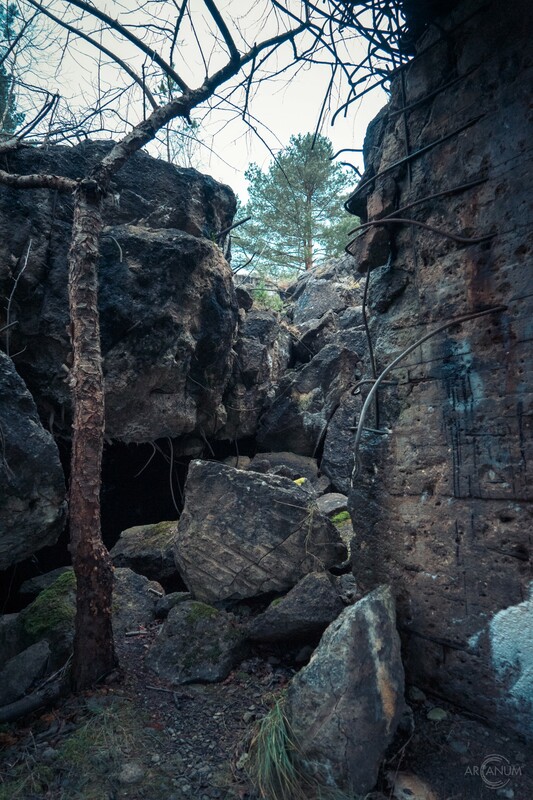 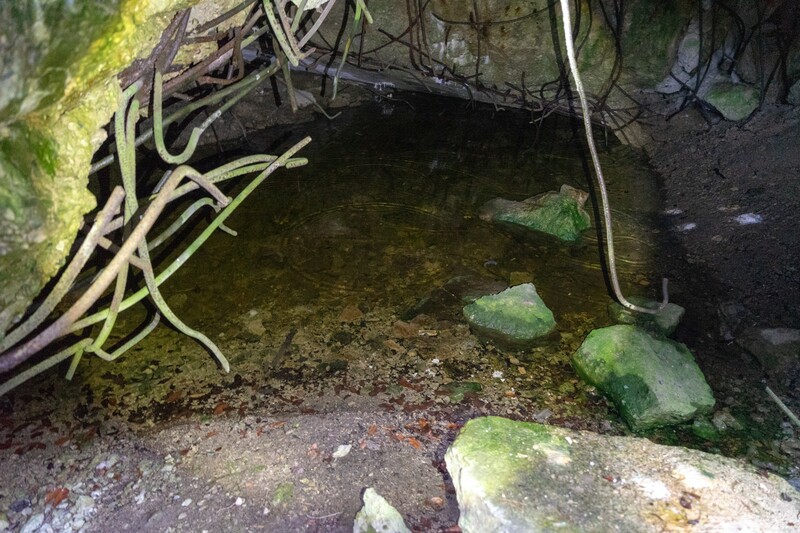 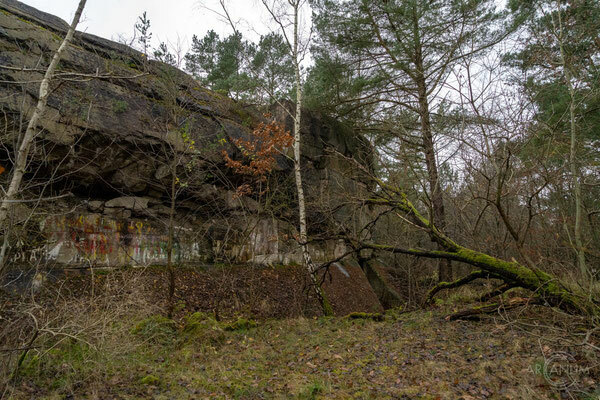 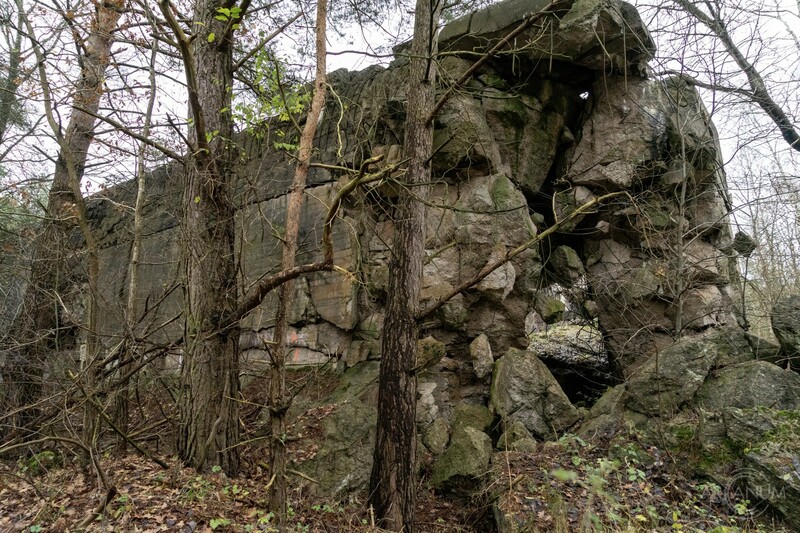 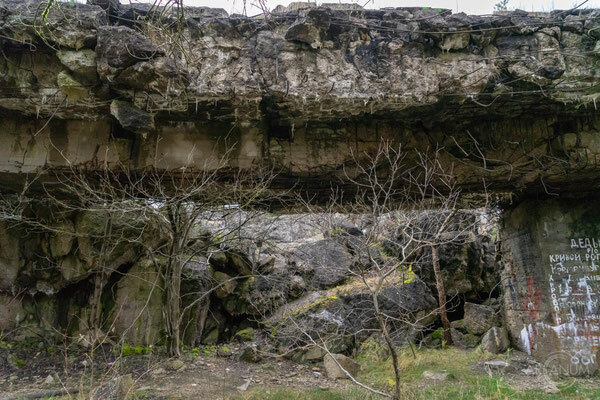 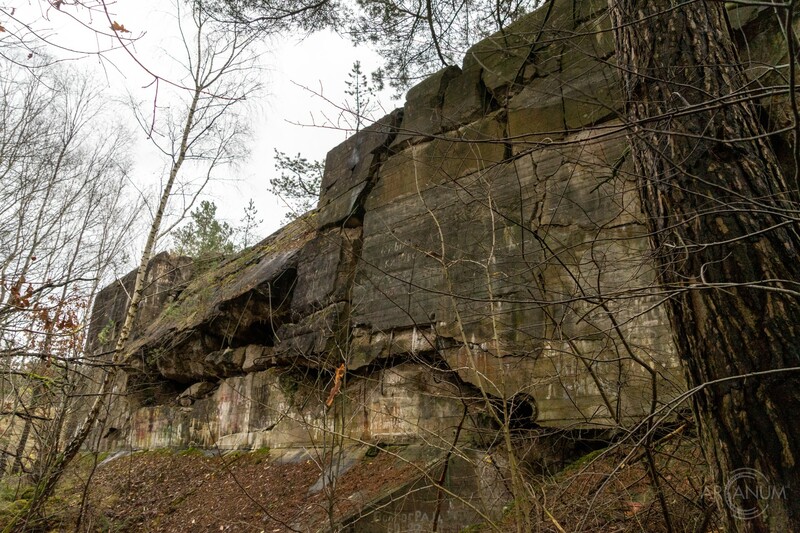 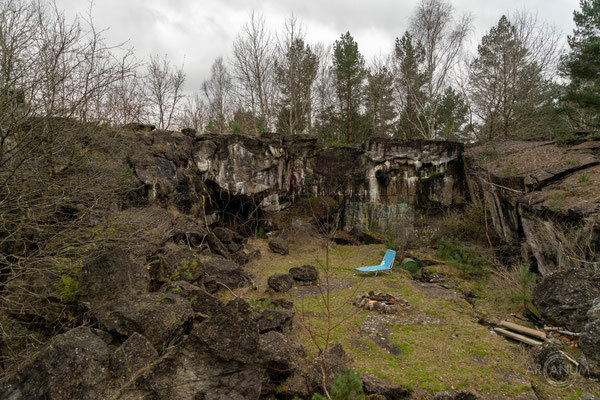 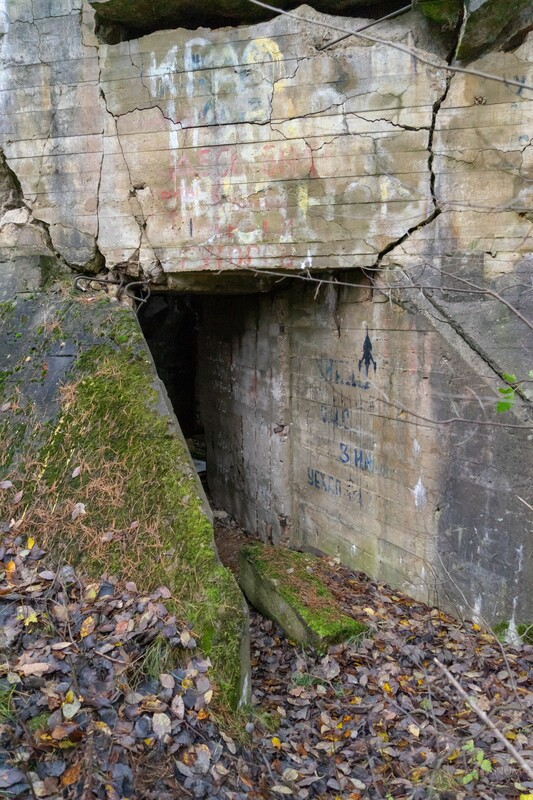 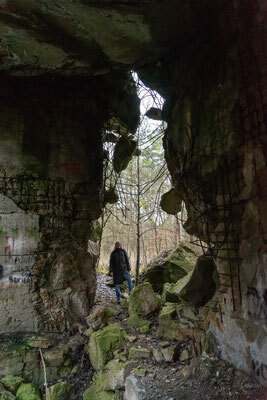 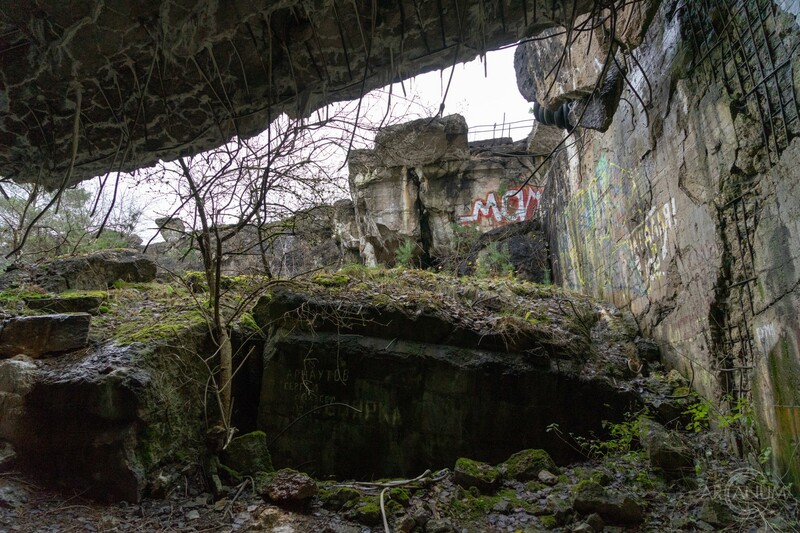 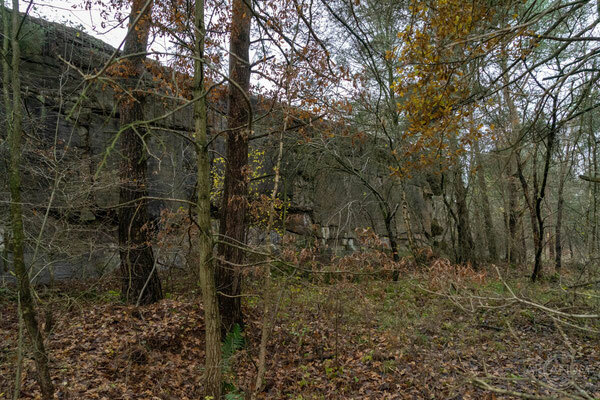 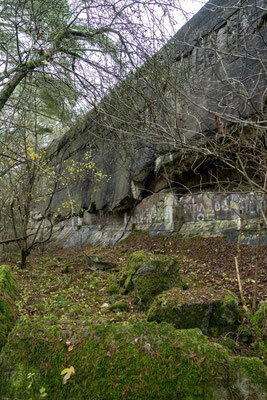 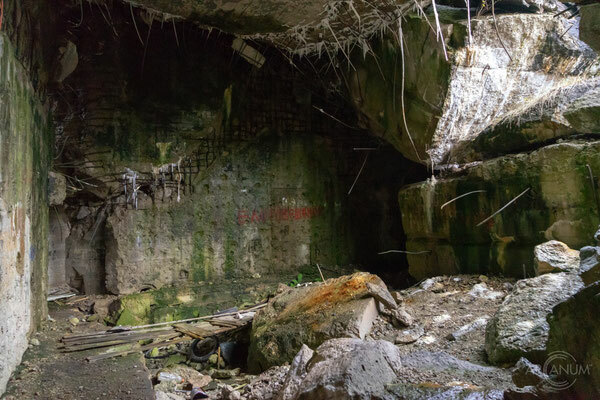 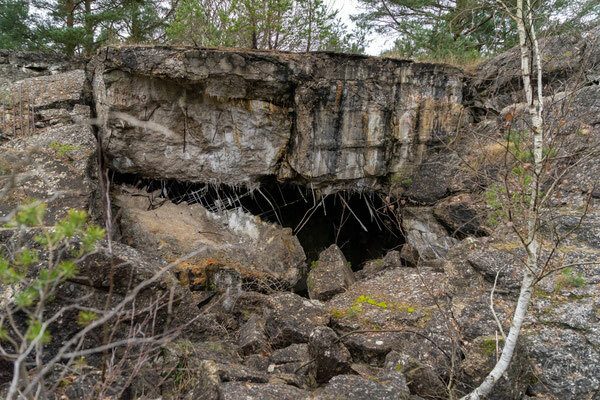 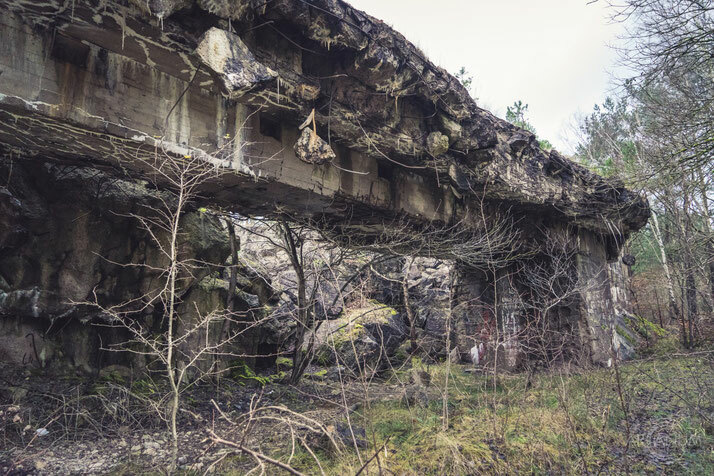 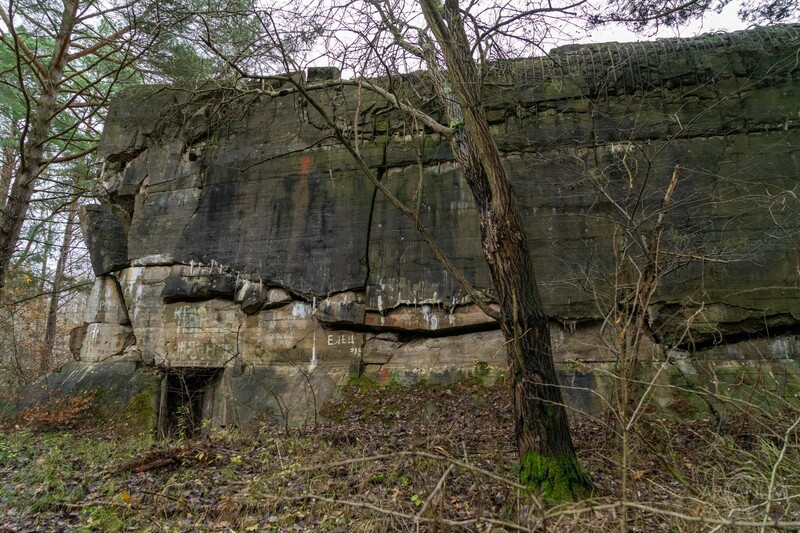 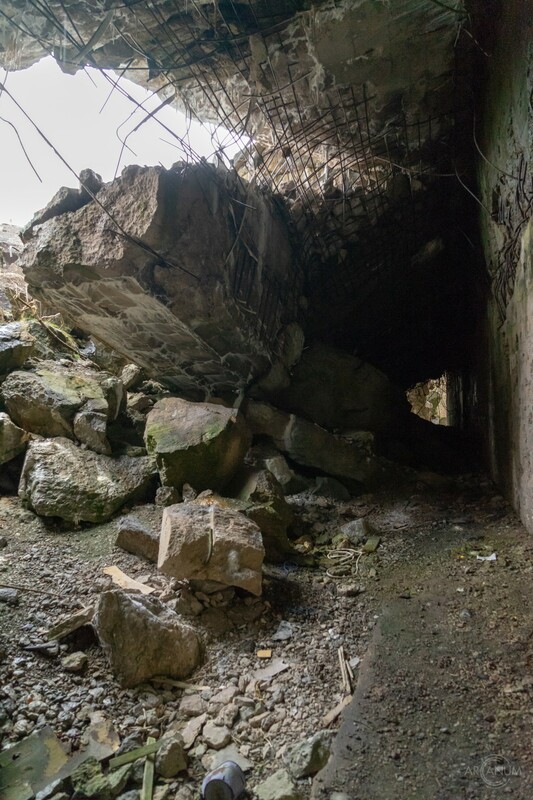 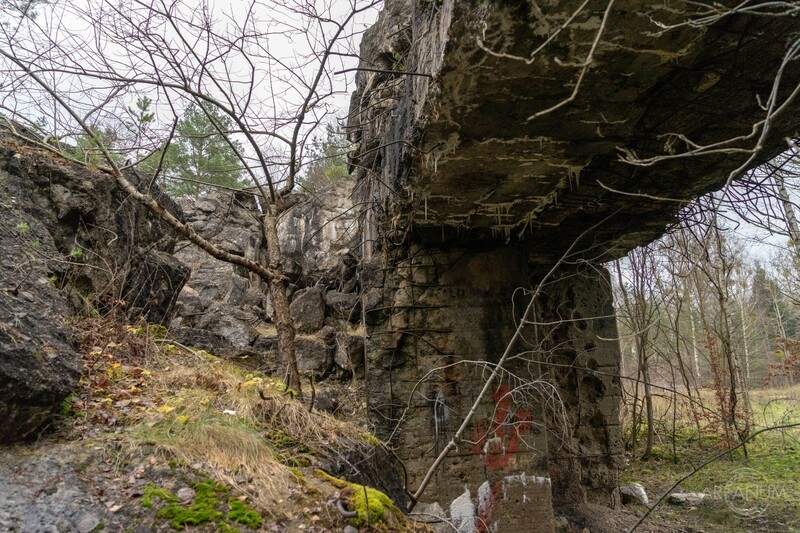 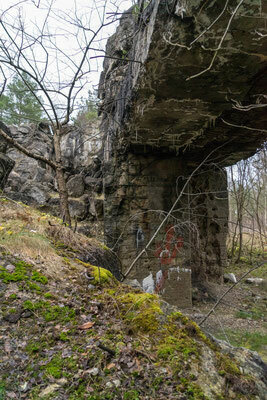 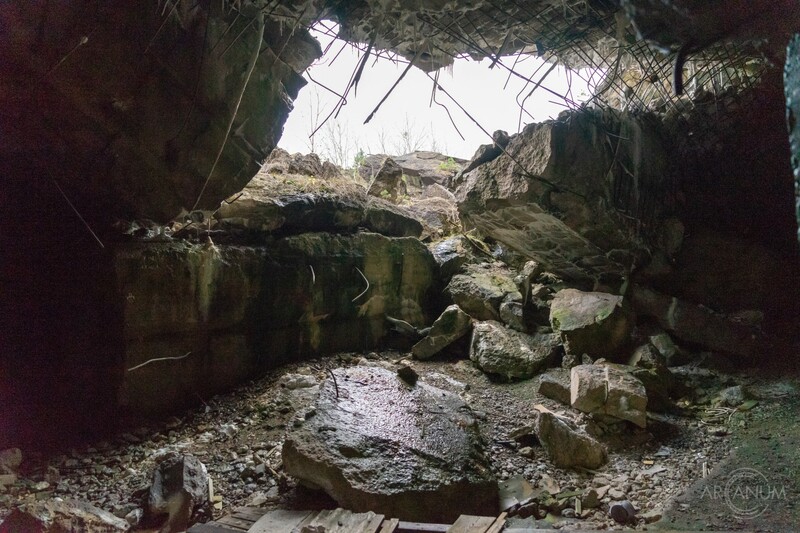 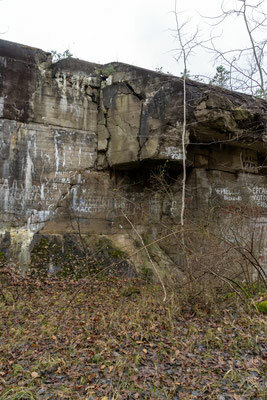 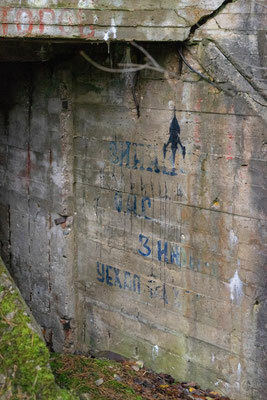 Next to the bunker, the Red Army set up a concrete shelter which was probably used as a command post for the airfield. 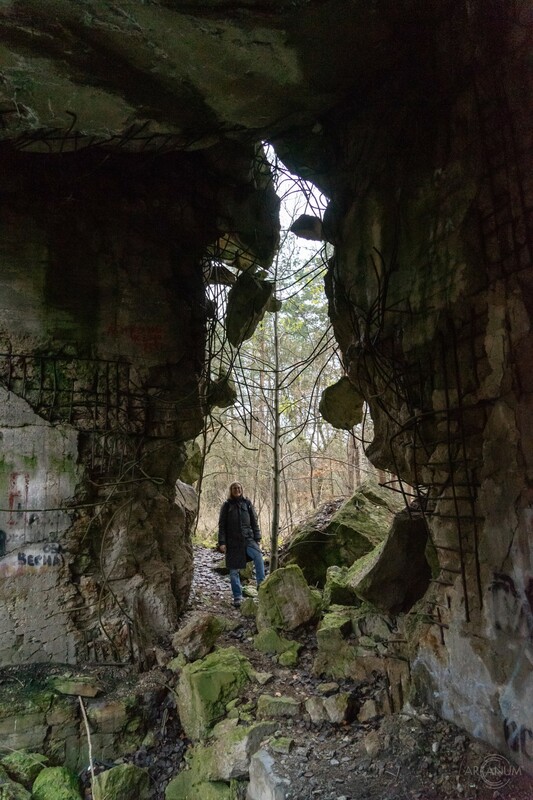 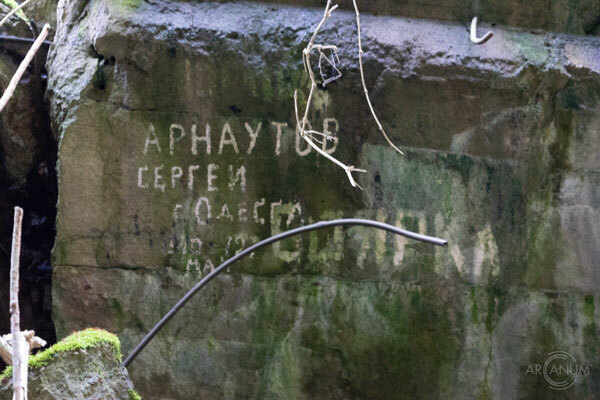 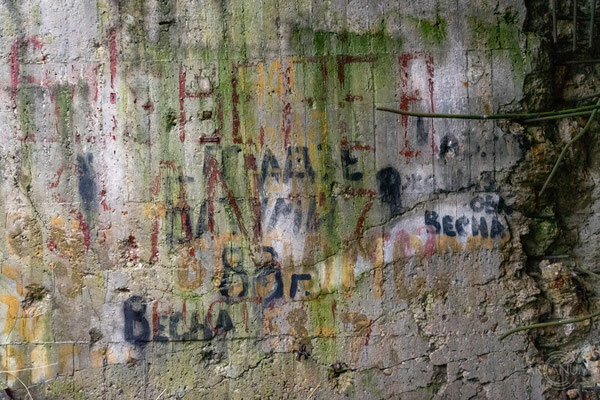 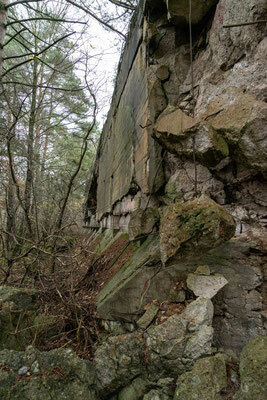 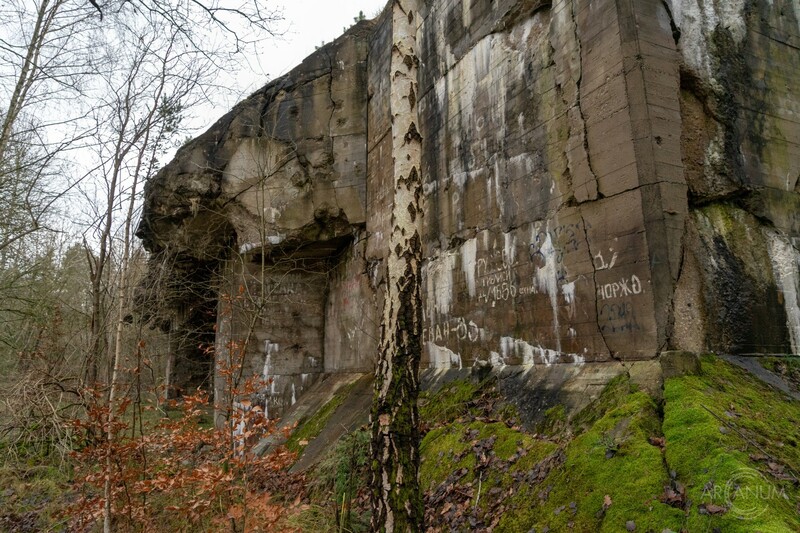 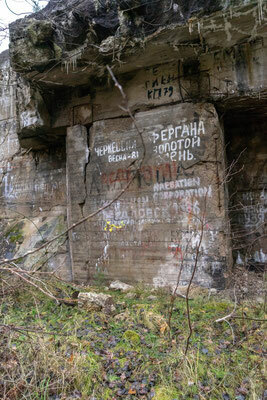 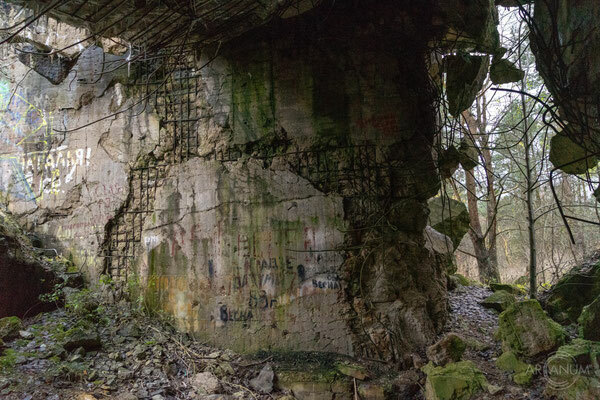 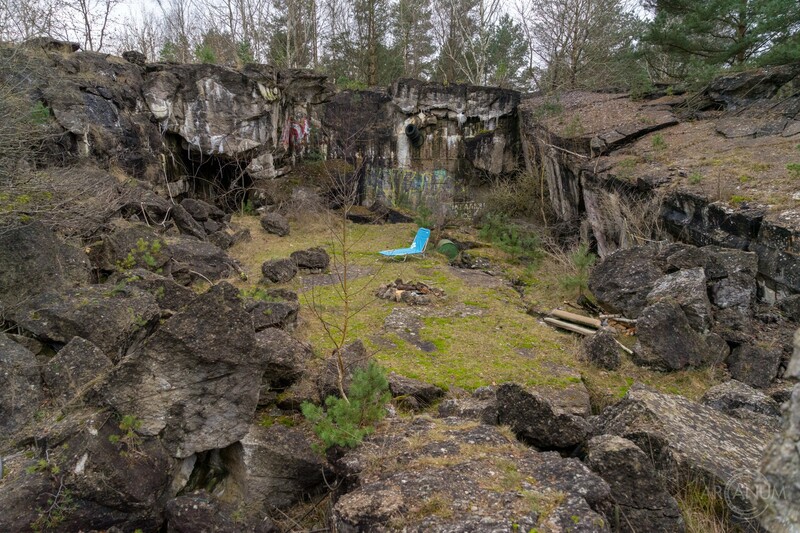 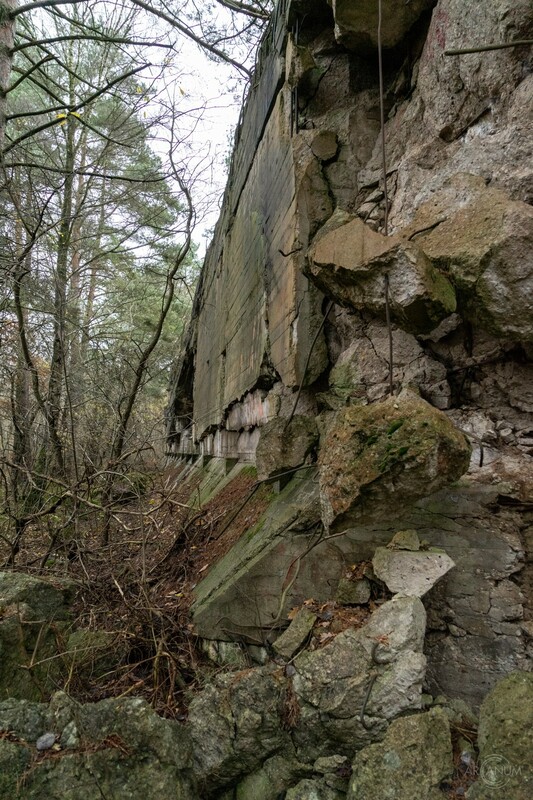 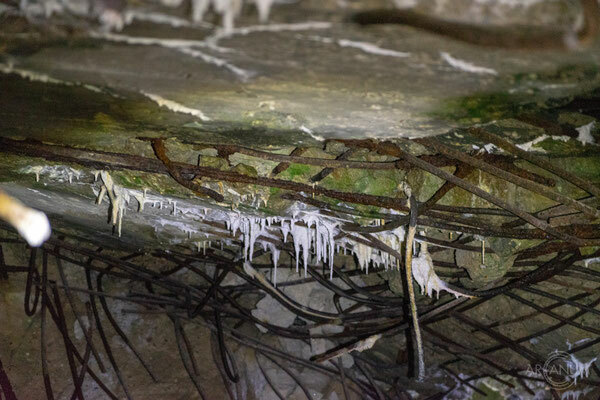 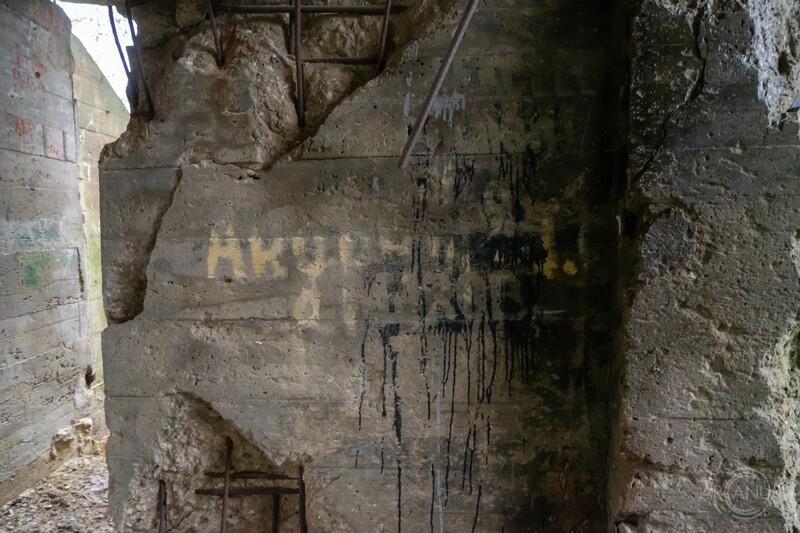 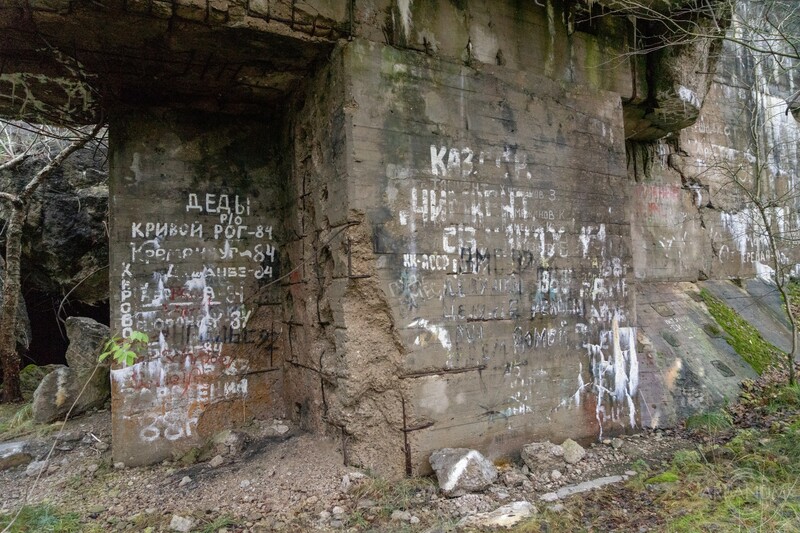 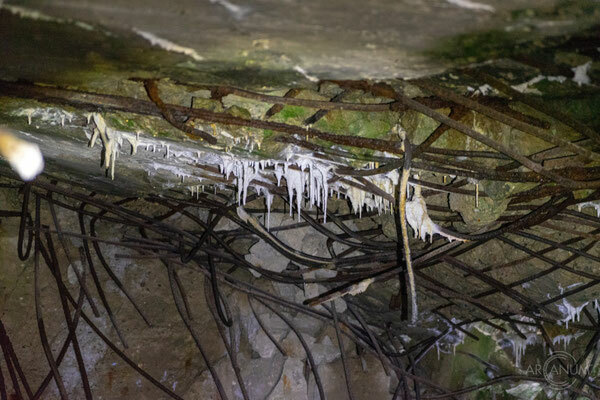 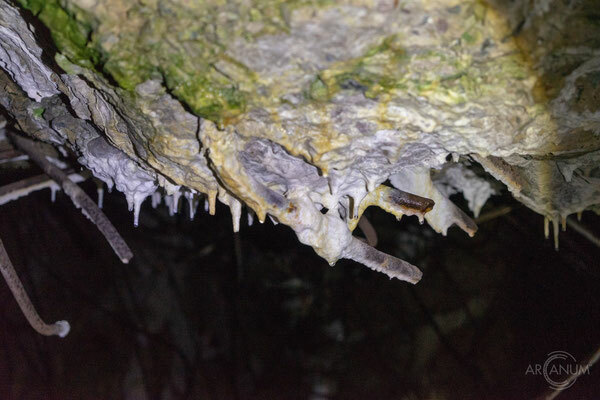 The Soviet soldiers have left many graffiti on the walls of the destroyed bunker until their withdrawal in 1994.